Microsoft Account is the combination of an email address and a password that are used to logon to a number of different services by Microsoft and partner websites, like Windows 8 computer, the Windows Store, Windows Phone devices, Xbox video game systems, Outlook.com (formerly Hotmail.com), Skype, Office 364, Skydrive and more. 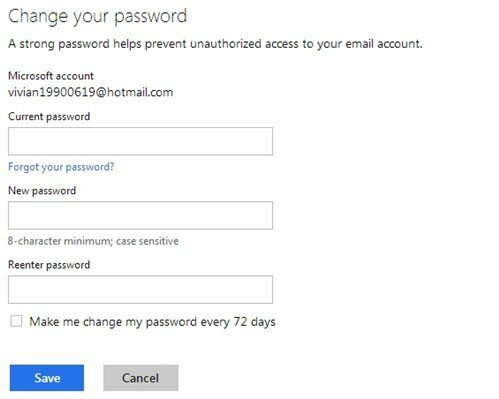 If you lost this Microsoft account password, you can reset it, or you just need to change it on a regular basis, keep on read for detailed steps. However, please keep in mind that if you reset your Microsoft account password, all the sites and services you use your Microsoft account for will be changed as well. How to Reset Forgotten Microsoft Account Password? If you forgot your Microsoft account password, follow the steps below. 2. 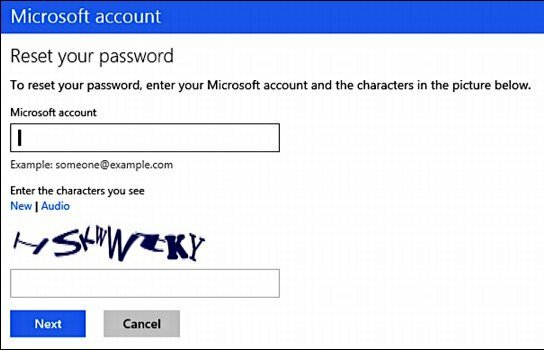 Enter the Email address you’re using for your Microsoft account, as well as captcha. Click “Next” to continue. Choose “Email me a reset link”, specify a contact email address that you’ve previously associated with your Microsoft account. Click “Next”, and the system will send you a password reset link to this email address. Check your email account and click the password reset link. Choose “Send a code to my phone” if you register a cell phone number with Microsoft account management in the past. Choose to receive code via text message or phone call, and then click “Send code”.Once you received the code, enter it in the “Enter you code” field and then press “Submit”. 4. Enter your new password in the “New password” and “Reenter password” fields. Click “Next”. 5. Then you can sign in on the next page with your newly reset password. How to Change Your Current Microsoft Account Password When You Remember It? If you just need to change your password, for security concern, refer the easy instructions as follows. 1. Login into your Microsoft account at https://login.live.com. 2. Click “Change Password” in the “Password and Security Info” section. 3. Type your current password and enter the new password in both “New password” and “Reenter password” fields. 4. Click “Save”. Now your password has been changed.